Google is scheduled to hold a big event tomorrow where the company is rumored to announce the new Pixel devices, Pixelbook and Google Home Smart Speakers. A lot of details about most of the tech is already leaked online and now Walmart accidentally leaked out pictures of Google Home Mini and Pixel 2 XL. 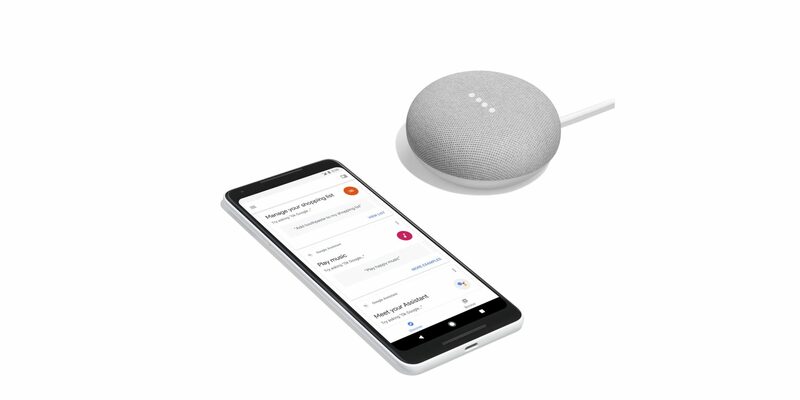 Walmart accidentally published the pre-order page today which showed the new smart speaker from Google. The page was however pulled quickly but it was already too late. You can head below to check out the pictures of Google Home Mini Smart speaker. In terms of the features, the Google Home Mini will feature Google Assistant and it will be able to perform all the functions that are already available on the regular Google Home. The smart speaker will weigh around 500 grams, and come in Chalk, Charcoal, and Coral. It will be available for $49. Pre-orders for the same will open tomorrow and the device will start shipping on 19th of October.